Ran into an issue when I went to upgrade my Minix NEO Z83-4 mini PC to the Windows 10 Creators Edition. The update would not install and I kept getting Windows error code (0xc1900200) when using the Windows Update Assistant. I ended up researching the issue and found that the “System Reserve Partition” (64MB) was too small. I decided at this point to wait until the update made its’ rollout to my computer (to see what would happen) and when that day did come, the update started to install but soon failed. After concluding I needed to find a way to expand the system reserve partition, I went to the MiniTools Partition Wizard (free edition). What I ended up doing with this partition tool, to make the System Reserve Partition larger in size, had me sweating bullets. I backed up my computer, just in case this did not work out as intended. In a nutshell, I used the Minitool Partition Wizard to delete an unidentified 16MB partition on the drive (which I had to do in order for this to work), then took 250 MB from drive C:. I then took the 64MB System partition and added the 16MB space from the partition I had deleted and added the 250MB that I removed from Drive C:, giving me a total of approximately 330MB for the System Reserve Partition. At this point, I crossed my fingers (and toes) and rebooted. The PC rebooted with no errors or problems detected. Since the Creators Update had attempted to install previously I went into the Windows Update Settings, clicked on “Check For Updates” and the Windows 10 Creator’s Update started the installation process (which is a time consuming process with numerous reboots). I probably could have used the Windows Update Assistant tool to download and install the update, as well… In the end, I was able sucessfully to install the Windows 10 Creators Update. Hopefully, as a result of expanding the System Reserve Partition, using MiniTools Partition Wizard, I will not have to worry about doing this again when future major updates occur. Cause a Denial of Service (DoS) by sending requests to an unamed API. Admins would be locked out until the attack stopped. Use CGI web server scripts to reveal connected devices and computers, dump the WPS Wi-Fi PIN code, and list firmware version and configuration settings. Create a hidden “backdoor” account with root privileges and the ability to run commands. A Sampling Of Some Of The Most Popular Articles At What’s On My PC – Each week on the blog I try to provide an array of topics through the Geek Squeaks’ theme. This week I was brain dead and for the life of me nothing was jumping out to get my juices going. In an effort to give myself a jump start, I decided to list some of the most popular articles at What’s On My PC. This not only got my juices going; but, it made me come to the realization that I need to re-think how I am titling my blog articles and still keep within the parameters of my Geek Squeaks’ way of life where I post multiple topics (with one main topic as the attention grabber). As a result, I am going to implement this change to see where it takes me. To get started with this week’s post, I changed the title format; and to get my juices going, I have listed a sampling some of the most popular articles at What’s On My PC. Always remember, you can perform a search to find various topics, software, etc… In the 8 years that I have been blogging, there is a good chance that if you are looking for something, I have covered it in some form or another. Symptoms of a Failing Computer Power Supply – I discuss some of the symptoms you may experience that could indicate that your power supply is failing. This article was published back in 2010, which seems like yesterday, and much of what is reflected is still applicable today. Shutdown, Sleep, Restart or Logoff Your Computer Using the Keyboard – Here I did a post about the built in keyboard shortcuts that you can use to shutdown, sleep, restart or logoff your Windows computer. This article is applicable to Windows XP, Vista and Windows 7 users. I still get a ton of hits on this one. Locating Your Software License Keys – Did you know that if you do a complete reinstall of the software on your PC, you will need the product license keys (or serial/registration information) for the software that you had paid for? If you did not know this, then this article will guide you on the various software options that are available that will help you out. An Easy Way to Get the Serial Number and Disk Drive Information of Your Computer – If you follow the command prompt steps that I have reflected in this article you can get the serial number and disk drive information of your computer. Get the last FREE version of FastStone Capture – If you do not know what FastStone Capture is, then you are missing out on some good software. This screen capture program, at one point was freeware; however, you now (current version) have to pay for the software (shareware). This is one shareware program that I recommend buying. If you do not wish to buy it, you can still grab the last FREE version. What does the “G” represent in 3G and 4G? – There is a high probability that you own a cell phone. If so, you have probably questioned, “What is all of this 3G and 4G talk about?”. This article will help you out with this. A Package Of More Than 180 Portable Freeware Utilities (for Windows) – If you are the techie type, you probably have heard of the NirSoft utilities. Did you know that these utilities can be downloaded as a package and conveniently launched using what is called the NirLauncher. The NirLauncher package includes variety of tools that you may need for your daily computer use, including utilities to recover lost passwords, to monitor your network, to view and extract cookies, cache, and other information stored by your Web browser, to search files in your system, and more… This is a “must have” for the tech toolbox. Waterproof Wireless Bluetooth Speaker – If you do not own a wireless bluetooth speaker, you do not know what you are missing. Today, I came across an Amazon deal for people like me who is rough on things. It is the Photive HYDRA Waterproof Wireless Bluetooth Speaker, that is shockproof and waterproof. At the time of this posting, the pricing was unbelievable ($39) with great customer reviews. 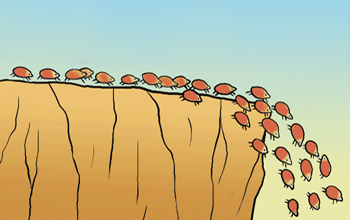 If you don’t know, the term lemmings is a a metaphor for people who go along unquestioningly with a group with potentially dangerous consequences. The “Lemming Effect” is an innate psychological phenomenon, a survival trait, an inborn instinct in the majority of people. For example (and I have been around weapons for hunting purposes all my life), the media hype over the gun issue has initiated this “Lemming Effect” that has generated fear that we better arm ourselves now before our right to own guns are taken away. As a result, we are like lemmings and lineup to buy military grade weapons (and handguns) that require skill (and continual maintenance) that potentially could have dangerous long term consequences (even beyond our generation). When there are times I feel I am becoming a lemming, I start looking for facts. For example, how many of you fell for the Mark Zuckerberg Giveaway Hoax where on 1 December 2015, Mark Zuckerberg shared a post on Facebook announcing the birth of his daughter and a pledge to giveaway 99% of his Facebook shares to users who shared the post? If you fell for this, then you joined the Lemming’s Club. I fell for it because one of my reliable Facebook friends was circulating it; and, then it hit me, I need to check this out. Just because someone says it is true, does not make it true (even if it is someone that you consider to be a reliable resource). One such site that I use to “assist” in research of some of this crazy stuff is Snopes.com which has come to be regarded as an online touchstone of rumor research. Recently Snopes posted the Most Popular Urban Legends of 2015 that features the top 25 rumors (or urban legends) that circulated most widely on the internet. Don’t become a lemming, always look for the facts and truths. 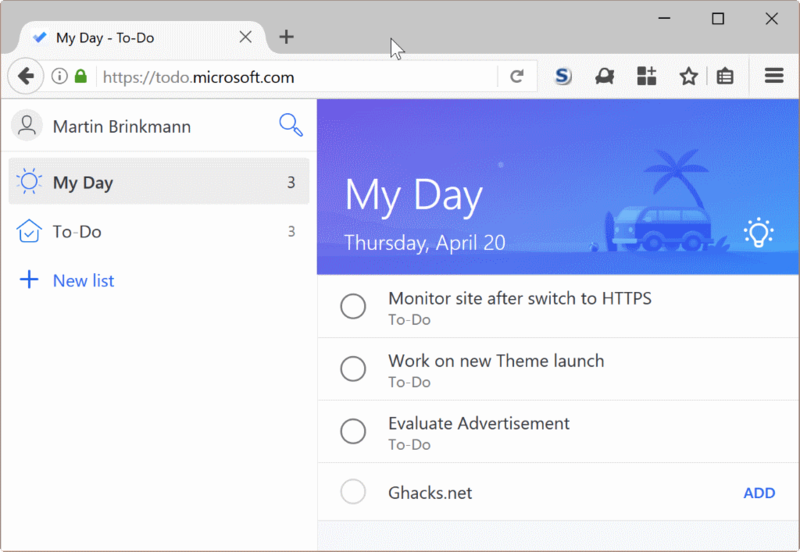 How To Import Your Browser Bookmarks Into Pocket – In a nutshell, Pocket is an online cloud based “bookmarking” service that will help you “save interesting articles, videos and more from the web for later enjoyment. Once saved to Pocket, the list of content is visible on any device — phone, tablet or computer. It can be viewed while waiting in line, on the couch, during commutes or travel — even offline”. I love Pocket and use it to categorize and save sites I want to visit later. I know you can save (bookmark) your sites in your browser, but Pocket is like a bookmarking site on steroids (much, much better in my opinion). Recently I was wondering if it was possible to import browser bookmarks into Pocket and found that “yes you can”… To do this, CLICK HERE to visit the Import Bookmarks Into Pocket. “All In One” Cable Modem Router – I have an older version of one of the Motorola Cable Modem Routers and it has not given me an ounce of trouble. The one I am sharing with you today is the newer version (compared to mine) called the Motorola ARRIS SURFboard SBG6580 DOCSIS 3.0 Cable Modem/ Wi-Fi N Router … With this device you can free up some desk space. The Motorola ARRIS SURFboard SBG6580 is designed for seamless mobility, Motorola’s SBG6580 is a fully integrated all-in-one home networking solution that combines the functionality of a DOCSIS/EuroDOCSIS 3.0 cable modem, four-port 10/100/1000 Ethernet switch with advanced firewall, and an 802.11n Wi-Fi access point in a sleek, stylish package for the sophisticated consumer. 70+ Useful Google Now Voice Commands – I am a big Android smartphone and tablet user. I am finding more and more of using Google’s version of a virtual personal assistant called Google Now. What amazes me is how accurate Google Now is in interpreting what I am saying. If you are like me and you find Google Now to be very useful, then check out trendblog.net’s infographic on their “Awesome List Of 70 Google Now Voice Commands“. DSpeech Upgraded – DSpeech is a portable app program that will read text back to you. I find it very helpful when composing documents where I can have the document read back to me. Really makes a difference in the final product of the document when you can actually hear what you have written. Quickly Search For Files On Your Android Smartphone or Tablet – What I find when using Google to search my phone, the search is limited to my contacts and apps. If you would like something that will dig a little deeper then take a look at the app called Andro Search. This app when installed will create an index of the files on your computer to make searching for files fast. Andro Search can be described as a full-text instant search over your Documents/Files, Contacts, and Apps – An efficient powerful search engine and launcher on your Android. Geek Squeaks is back… – After taking a break from posting Geek Squeaks, I am thinking of bringing it back. Geek Squeaks is a name I came up with as an identifier to my readers that when you see a Geek Squeaks’ post it is a “quick read” compilation of tech news, software, apps and anything for that matter that I think is worth a squeak from an old geek. Geek Squeaks’ are random posts that are not set to any timeline or schedule. 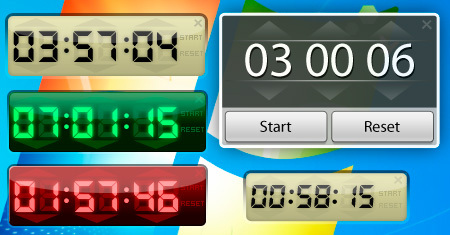 Free Desktop Timer – Free Desktop Timer is a simple utility that allows you to create multiple timers on your desktop. This is one of those kinds of things that you might not even know you need until you try it. Added Links To The “Software & Apps” Swarm – If you click on the downloads tab at the top of the blog you will see links to Software & Apps sites, FREE Software, Portable Apps, Android Apps and Cloud Computing Apps. I just added some additional sites to the Software & Apps swarm that will take you to reputable software sites. All links and software in each of the swarms are tried, true and tested… I want to publish only the best. Keep An Eye On This Smartphone – With the OnePlus 2, we have something bold to say. We believe that great products come from great ideas, not multi-million dollar marketing campaigns. We believe “that’s just the way things are” is almost always the wrong answer. Most of all, we believe that great things should be shared. This is the OnePlus 2. GEEK SQUEAK – Is your Windows 8 OS optimized for SSD? [FEATURED GEEK SQUEAK] A TTS (Text To Speech) Program With Functionality Of ASR (Automatic Speed Recognition Integrated) – One of my hobbies in life is this blog. To assist me with getting a good read on what I publish, I use a TTS (Text To Speech) program that allows me to hear my written words. Typically when we write it is all visual; however, when something is read back to you it changes the whole perspective of things. 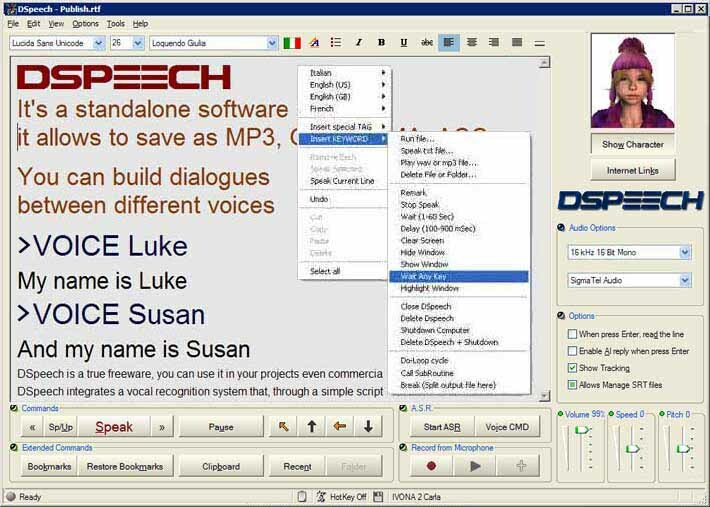 The program that I use for this purpose is a FREE (portable app) standalone program called DSpeech. DSpeech gives you the ability to copy and paste text into the DSpeech reader and have it read back to you using different voices. You can also save the audio output to a variety of different audio file formats (such as WAV, .MP3, AAC, WMA or OGG). [TECH NEWS] Moving On: Microsoft Confirms No More Major Updates for Windows 8 – Microsoft tried to address consumer complaints in Windows 8 with Windows 8.1, and then again with its first major update for Windows 8.1. However, Windows 8/8.1 isn’t grabbing market share the way Microsoft hoped it would, even with Windows XP taken behind the shed. [FEATURED GEEK SQUEAK] How To Type the “Degree” Symbol From The Keyboard – I always like sharing personal experiences here on the blog to show that I don’t pull these things out of thin air. Recently I was generating a report where I was typing out weather conditions (such as outside temperature). As I continued doing this I would always type out the word “degree” for the temperature (i.e. 90 degrees). It was at that point I started wondering if there is a way to generate the degree symbol from the keyboard? If you hold down the Alt key and on the numeric keypad on the right of the keyboard, type 0176, or Alt+ 248, then when you release the Alt Key, a ° should be there. If you are interested in learning some more ALT CODES, click on the ALT CODES REFERENCE SHEET below. [FEATURED GEEK SQUEAK] Have It All With A Solid State Hybrid Drive – If you have an older PC and you are looking for a performance boost, that gives you faster speed with capacity, you may want to take a look one of Seagate’s Solid State Hybrid Drives. The good about the hybrid drive is that it is less expensive (see sample pricing) than solid state drives, yet gives you the kick and speed of the solid state drive (see customer reviews). The hybrid drives by Seagate set aside approximately 6GB’s of ultra-fast NAND flash (same as used for SSD technology) to store the most frequently used data. 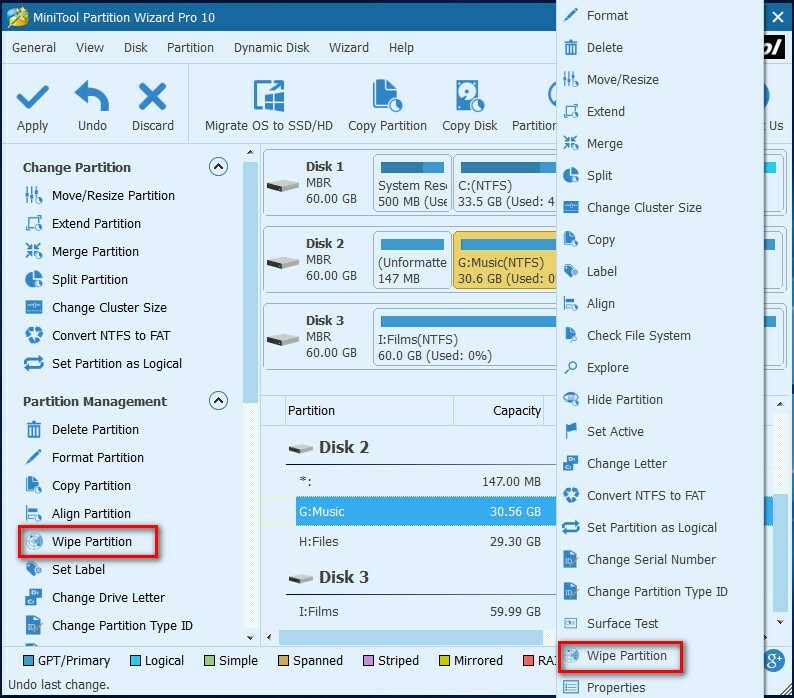 What this means is that, as you use the computer, the hybrid drive learns what data you use frequently and stores it on the SSD side of the drive. As this happens over time you will notice that the load times of those frequently used application are greatly reduced. System boot times and system responsiveness are also noticeably improved using the hybrid form factor. The Seagate® Desktop SSHD is designed to work in any standard desktop system. Unlike other hybrid solutions, there are no special drivers or software to install and configure. It installs and works just like a hard drive – only faster! [FEATURED GEEK SQUEAK] Understanding The Difference Between Refreshing, Resetting Or Restoring Your Windows 8.1 PC– If you are a Windows 8.1 PC user and you are finding that your computer may not be running up to par; you have several options to either refresh, reset or restore your PC. It is very important to understand the difference between the three. No matter what option you choose, ALWAYS back up your personal files. Refreshing your PC reinstalls Windows and keeps your personal files and settings. It also keeps the apps that came with your PC and the apps you installed from the Windows Store. Resetting your PC reinstalls Windows but deletes your files, settings, and apps—except for the apps that came with your PC. 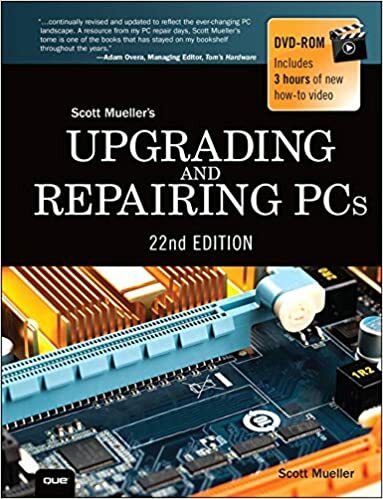 Restoring your PC is a way to undo recent system changes you’ve made. The RESTORE option is the least aggressive, with the RESET Option being the most aggressive. Just remember, if you do a RESET you will lose your personal files and data. [FEATURED GEEK SQUEAK] How To Use Your Smartphone As A Document Scanner AND Copier – I recently made a decision to ditch my all-in-one inkjet printer due to the continued cost of inkjet cartridges. I decided to go with a basic level, black and white color, wireless laser printer where the cartridges are about the same price (as the inkjet). The printer I purchased was the Brother HL-2270DW Compact Laser Printer with Wireless Networking and Duplex. The positive sides to this is that I can print many, many, many more pages, at greater speed, with the laser vs. the inkjet; plus, I gained the benefit of the wireless printer technology (that I did not have). I try to not print anything at all; however, I recently took on another task in my life where hardcopies of documents is required. The negative sides to this is I cannot print in color and can no longer scan documents; HOWEVER, if you read on, there is a solution. I was not too concerned about the printing in color. Most of what we print at home is pictures (which is very costly); plus in my planning of all of this I decided if I needed pictures printed out, I would visit a local kiosk to perform this task (where the finished product is much better that the typical inkjet printer). Now, losing out on the document scanner did have me concerned; HOWEVER, I came up with a solution (in my planning) to use my Nexus 5 Smartphone as my document scanner. The Nexus 5 is an Android based phone; therefore I needed to find an Android app that was made to perform document scans. After trying many variations of Android document scanners, I settled for the app called CamScanner. The FREE version of CamScanner should be all you need. What I am finding now, using CamScanner and after training myself (through experimentation), is that I can scan a document (using my smartphone) very quickly; and then following the scan can send and share the document at light speed. For example, I will scan a document and then send it to any of my online accounts, such as my Microsoft OneNote notebook, my email account, my OneDrive account, etc… When you scan a document with CamScanner, the app will perform an auto-correction to line up the document, adjust the clarity of the document and convert it to a PDF file. There are many manual corrections that can be performed, as well, within the CamScanner app. Then the question came up in my mind, “What if I want to copy a document and print it??? With CamScanner this is not an issue. Using my new wireless laser printer I was able to send print jobs directly to the printer (from anywhere in the world) using Google Cloud Print. By the way, your printer does not have to be wireless or Google Cloud Print ready to print from the internet (or the cloud). In the end, my planning has so far paid off; plus, I am not caught up in the world of inkjet cartridges where the cartridges often cost more than the actual purchase of the printer. Also, give CamScanner a try. Once you learn how to use it, you will not miss that cumbersome inkjet all-in-one document scanner. [FEATURED GEEK SQUEAK] CrowdInspect – Today’s lineup of Geek Squeaks’ starts out with a FREE (community based) portable tool called CrowdInspect. What this tool does is help alert you to the presence of potential malware processes that may exist on your computer. Microsoft has provided support for Windows XP for the past 12 years. But now the time has come for us (Microsoft), along with our hardware and software partners, to invest our resources toward supporting more recent technologies so that we can continue to deliver great new experiences. The key issues in the above notice is that you will no longer receive automatic updates, you will be vulnerable to security risks and viruses (which could compromise the security for a whole lot of people) and as time goes on you will experience software and hardware compatibility issues. [ACCESSORIES] Mount-It! Dual Freestanding Monitor Stand for Monitors Up to 27″ screens – LCD Monitor Pole with Double-Link Swing Arm provides a secure and elevated position for two flat-screen monitors to help free up valuable desk and work space. How would you like a computer that starts up in seconds, has integrated malware and virus protection, is low maintenance, takes up very little space, is perfect for mom and pop, can be easily used as your home entertainment system, is inexpensive, and MORE??????? This may sound like the perfect computer and maybe it is. In the very near future ASUS will be releasing the ASUS Chromebox that will meet the specs, as described above. This is not a Windows based computer. 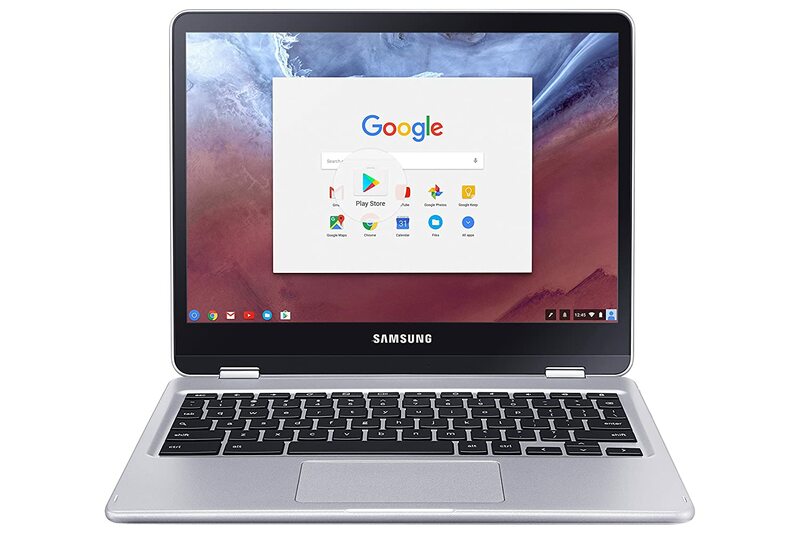 It is a Google Chrome OS based computer that just may be a game changer. If you think about it, most of our computing experience these days is online (in the cloud, as they say). The days of computers, as we know it, may be coming to an end; especially as these cloud based devices continue to evolve. I ask myself; especially, being a computer user for over 25 years, would I be satisfied with something like the ASUS Chromebox as my only computing source? I really don’t know at this point, but my geek instincts is telling me that this just may be the perfect computer setup. Tweaking.com recently updated their Windows Repair Tool that is a utility that continues to improve and be a work in progress. It is a tool that is geared toward system repair and rescue of all flavors of Windows since XP. I suggest you have experience in the troubleshooting of the Windows operating system, prior to using this tool. Windows Repair Tool is a available as a full install or as a portable app (which makes it nice addition to the tech toolbox). Today’s Geek Squeaks, I am featuring a portable app utility that, as an IT professional, may be a tool to include in your toolbox… It is called Portable Update. To keep this short, Portable Update uses an external cache to store updates. Once an update is copied to the cache, the same update can be used on multiple computers that would require the update. MediaMonkey’s Wi-Fi Sync lets you wirelessly sync your media between your devices and your desktop. MediaMonkey for Windows 4.1 on your Windows (XP / Vista / 7 / 8) desktop. Ok, now that is out of the way, What is MediaMonkey? MediaMonkey is a very powerful media manager. There is a FREE version and a PAID version. What we are interested in here is the features of the FREE version (which I highly recommend) and that it gives you the ability to wirelessly sync your media between your devices. Enjoy!!! Identify Tracks – Automatically identify movies and tracks that are missing information, whose tags are not synchronized, or that are duplicated elsewhere. Tag – Tag music easily using industry-standard formats. Organize & Rename – Automatically organize and rename music / video files on your hard drive into a logical hierarchy. Manage Playlists – Create Playlists with ease. Automatic Library Updates – Use the File Monitor to automatically update your music library or video collection to reflect any changes on your hard drive or network (e.g. MP3 music downloads or movie purchases) . Download Music & Podcasts – Download audio content using the integrated Podcatcher, or use the web downloader to download media files from any website. Sync / Backup Android, iPhone, iPod, iPad, etc. devices – Sync with most* Android, iPhone, iPod, iPad and other portable Audio/Video Devices. Share over UPnP / DLNA * – Share Audio/Video files with TVs, BD Players, and other UPnP / DLNA * devices. Record & Convert – Record CDs to your hard drive using the high quality LAME MP3 encoder*, M4A encoder*,OGG encoder, WMA encoder, or FLAC encoder). Burn – Burn Audio CDs using the integrated burner powered by PrimoBurner™. Play – Play CDs and digital audio files (MP3, *AAC/M4A, OGG, WMA*, MPC, APE, FLAC, WAV, WMV, *AVI, *MP4, *MKV, etc.) and have volume levels adjust automatically (using Replay Gain and MP3 Gain technology). Party – Use MediaMonkey for parties or other public events with its jukebox mode, which allows users to make requests while protecting your library from being modified. Visualize – Visualize your music with funky trance-like effects powered by Milkdrop and hundreds of other visualization plug-ins. Reports and Statistics – Create Statistics and other Reports of your music collection as Excel, html, or xml files, so that you can show it to others. Customize – Customize MediaMonkey with Skins, visualizations, plug-ins and other addons to make it do what you want it to.